Source: "Shepherd Neame A Story that's been brewing for 300 years"
Despite the present company name, the Shepherd and Neame families managed the company together for only 13 years in its long history, stretching back more than 300 years. The last member of the Shepherd family ceased to be involved over a century ago, in 1877. The first evidence of the Neame family's involvement is found, in the acceptance of a bill by Percy Beale Neame, on 11 October 1864. He had become a partner at the beginning of that month in a firm, which was known at that time as Shepherd, Mares & Neame. John Henry Mares came from Maidstone and belonged to a well-to-do family of jewelers. His father was the local mayor several times over. He attended the Proprietory School with James Tassell. Tassell upon leaving school served his articles with a solicitor in Hythe, before becoming a partner in 1842 in a leading Faversham legal firm headed by Julius Gaborian Shepherd, whose father, a solicitor in the town before him, had gone into the Brewery. Tassell very wisely consolidated his position in the firm of Shepherd & Tassell by marrying one of Julius Gaborian's daughters, Charlottle Ann. It was James Tassell who came to the rescue of the Shepherd family's brewery at a time of national financial crisis at the end of the 1840's. A non-Shepherd partner in the business had decided to withdraw from it. Tassell persuaded his former school friend John Mares, to leave Maidstone and put about 5,000 pounds (about a quarter of a million pounds in modern money) into Faversham Brewery, which then became known as Shepherd & Mares. came from a well-established East Kent family. Richard Marsh, like his forebears, was in the militia and came to be known in Faversham as Captain Richard Marsh. He wrote an eyewitness account of James II's arrival in Faversham in December 1688, which was printed as an appendix to Jacob's History of Faversham. This would suggest that his connection with Faversham Brewery may have occurred before 1698. The Faversham Wardmote Books in fact show that Marsh was already paying the largest brewer's fine in Faversham by 25 March 1678. A large common brewery in Faversham was, therefore, in place at least 20 years before 1698. However, the term 'established in 1698' appeared in an advertisement for Faversham Brewery in the Kentish Gazette of 11 April 1865, the first time it appeared under the name of Shepherd Neame & Company. This being 160 years after 1698, by which time any oral tradition which may have survived, passed on from generation to generation of the Marsh and Shepherd families to the Neames, had probably become somewhat vague. Captain Richard Marsh died approx. 1727. The Faversham Brewery, including a malting and dwelling house attached in Court Street West, passed to his widow. His daughter, Silvester Marsh, sold the property to Samuel Shepherd, who deeds tell us, was in possession by 12 October 1741. Silvester Marsh was buried at Faversham Parish Church in 1742. The Shepherds were a family of substance, owning land at Great Mongeham near Deal. Samuel Shepherd being involved in malting in Faversham since before the 1730's and he served as mayor in 1733 as well as on two subsequent occasions in later years. Faversham with it's good underground sources of water, containing the appropriate quantities of calcium needed for making good beer, would have made it a source of ale for centuries. In the late 17th century, it became an increasingly important source of beer, supplying not only the growing little town, but also its hinterland to the south where the population was also increasing. Faversham was also the harbour, through which goods from London were forwarded to Ashford. London was the country's main brewing center, however, Faversham beer formed a part of this growing traffic, and the Faversham Brewery acted as agent for some of these London beers. Samuel Shepherd acquired his own pubs in Faversham as well as supplying customers and various public houses owned by others direct from the Brewery. 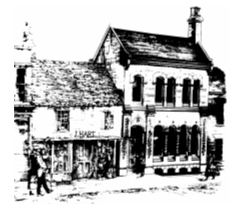 When Julius Shepherd who had joined his father in the management in 1755, inherited the business in 1770, it included 'The Castle' in West Street, 'The Three Tuns' in Tanner Street, 'The Ship' in the market place (acquired from the Ruck family) and 'The Red Lion' adjoining the Brewery. To these, Julius added 'The Royal Oak' in South Street, 'The Queen's Head', next to 'The Hip', and 'The Mermaid' and 'The Anchor' in Abbey Street. So started the process of acquiring tied outlets to make the Brewery's output more readily available. In 1787 he bought land in Herne Hill, which he farmed. He fathered a large family, part of which established a legal practice in Faversham, which passed into the possession of the Tassel family. Two of his sons joined him at the Brewery in due course. Charles (born 1773) unfortunately died at the age of 29. Henry (1781-1862) succeeded when Julius died in 1819. Henry Shepherd was long remembered in Faversham for continuing to wear knee breeches long after they went out of fashion. His son, also called Henry (1816-77) was the last of the Shepherds to be actively involved in management. Julius purchased a "sun and planet" steam engine from Boulton & Watt in 1789, making it the first of it's type to be installed in any brewery outside of London, and was used to do the work of malt grinding and pumping, previously done by horses. Making much of it's "modernization" the Brewery then started referring to itself as "the Faversham Steam Brewery". In 1802 Giles Hilton (1779 - 1867) married Julius Shepherd's niece, Mary. Giles's father had been a founding partner in the Commercial Bank of Faversham in 1796, and Giles succeeded him there. Now Giles became a partner in the Brewery also, and the brewing business of Shepherd & Hilton weathered the difficult years well enough. The later 1840's was a period when various businesses throughout the kingdom got into financial difficulties and a number of them went bankrupt. Faversham Brewery did not escape unscathed. On 24 November 1847 it had to raise 3000 pounds by mortgaging a large part of its extensive property to James Blaxland of Tonge in order to inject some cashflow. The loan was not repaid until December 1863. Matters were not helped when Charles J. Hilton decided to withdraw from the business. The death in 1862 of the elder ("knee breeches") Henry Shepherd (the major shareholder), at the grand age of 82, was not unexpected. 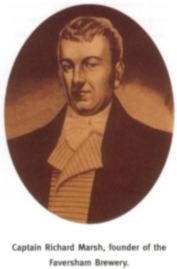 Although his son, Henry, was not a businessman of the same caliber, the firm's expansion continued satisfactorily with Mares at the real driving force. Percy Beale Neame joined them in October 1864. Mare's death on 28 December 1864 at the early age of 45 was a damaging and quite unexpected blow. A codicil dated two days before his death instructed his trustees to allow his share in the firm to remain in the business for such time as the trustees thought fit. The freehold value of the firm, now at last, Shepherd Neame, was put at 52,225 pounds and the leasehold value at 3,974 pounds. Good will was a mere 2,500 pounds. The value of the whole business - brewery, public houses and stock - after all debts had been taken into account calculated at 102,446 pounds, 1 shilling and 10 pence (over 5 million pounds in present day money). 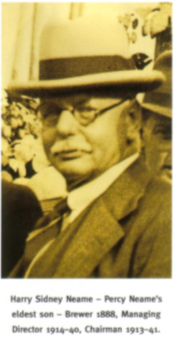 Henry Shepherd's share was 17,810 pounds, the Mares trustees 18,378 pounds and the Neame's 10,034 pounds. By the time that Percy became the dominant partner, the number of outlets and acquisitions of property had grown immensely. A surviving volume detailing the repairs and redecoration undertaken at each pub, inn or store between 1871 and 1896 shows that during the 1870's alone, no fewer than 115 different licensed premises , sometimes with cottages and other buildings attached appear in its list of holdings. By 1874 Shepherd Neame was running ten of its own railway wagons on the London, Chatham and Dover Railway. Each of them bought for 120 pounds and fitted with Chubb locks as a safeguard against pilfering. Each wagon carried 30 barrels of beer. In 1874 Shepherd Neame rented a shop in Victoria Station for 40 pounds a year, which served as a West End office for a short time. Percy Beale Neame at the age of 28, and with the weaker Shepherd partner, confronted the great challenge of matching the Brewery's greater capacity to the possibilities of the wider market. He was a worthy successor to his brother-in-law who had brought him into management in the first place. During his long life Faversham Brewery came very definitely into Neame family ownership. 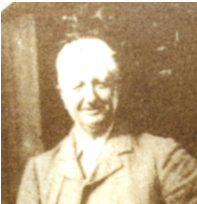 From 1877 Percy Beale Neame became sole proprietor of the Faversham Steam Brewery. 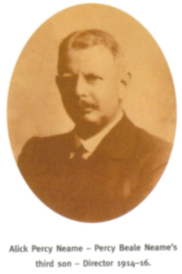 In 1881 his eldest son, Harry Sidney Neame, after leaving Harrow and having already received some training in brewing and malting, joined the business. In 1886 his second and third sons, Arthur and Alick Percy, also joined their father. The general manager of the business William Maile, died in 1885 and was succeeded by his son, who left in 1893. George Ernest Boorman who had been working for the firm for some time succeeded William Maile. The early 1870s were boom years in England as a whole. Shepherd Neame seized every advantage of this favourable market and it's numerous outlets with barrelage output at a nineteenth century peak. The end of the 1870s however, saw the slump after the boom. It witnessed a depression, the depth of which was second only to that of the early 1840s where production had to be reined back. Although the Brewery traded as Shepherd Neame & Co., it was still an unlimited private business which could switch resources unannounced, and at will because it was not yet a registered company. However, Shepherd Neame continued to make money throughout the more highly competitive last quarter of the nineteenth century by which time, because of the general fall in prices, the pound sterling was worth much more than it had been in 1870. This time also saw competition from it competitor over the road W.E. & J. Rigden. Extensions to the Rigden brewery building were carried out in 1874 and 1876. William Edward Rigden (1843 - 1904) and John Rigden (1846 - 1910) were prominent figures in the area, being keen hunting men who kept their horses near the brewery, behind Middle Row. The family also had an interest in the Faversham Commercial Bank, which also added to their local standing, making them a powerful rival to Shepherd Neame. Despite increasing competition in the trade, and growing influence from anti-drink pressure groups, the Brewery continued to make money, with ceaseless attempts to extend its market and the sale of products over the whole range. It sent caskets of beer regularly to Colchester via London and the Great Eastern Railway from 1873. Requests for supply came from further afield, including Harrogate, which could not be met due to the complexity of the return of empty casks, and the payment of overdue bills. Shepherd Neame also developed a lucrative trade in yeast, although nothing of this was mentioned before 1870, presumably because it was being sold locally. But in 1870 a yeast press was installed. In September 1872 a London yeast merchant was told that the yeast was being sent dry at 32s 8d per cwt. delivered in boxes. In was dispatched by early train from Faversham to reach London by 10.00 a.m. A list of six yeast merchants in Camberwell, Peckham, Limehouse, Caledonian Road, up from King's Cross, and Cornwall Road in West London appeared in subsequent issues of the Baker's Record as agents for Shepherd Neame's compressed yeast. Yeast supplies to London were later concentrated upon one large firm, Scroggie in Caledonian Road. In 1884 Shepherd Neame started to head its advertisements with a copy of its trade mark. The firm sent selected newspapers a block from which it could be reproduced. Readers were told of the strength and sweetness of its compound yeast. The superior flavour was achieved through using Malt and Hops only in its product. Readers were also reminded that Shepherd Neame's 'celebrated East India Pale Ales, Stout and Porter' were also guaranteed to be brewed "only from malt and the best East Kent hops". A very lucrative market for its yeast and spent grains developed with the local farmers for cattle feed which always exceeded the brewery's capacity to supply. The turnover from this rose slowly from 1551 pounds in 1866/7 to 1910 pounds in 1871/2. The sale of yeast to bakers also had an immediate effect due to advertising with the turnover rising to 3618 pounds in 1872/3. Shepherd Neame poured much of its profit back into the business, especially in the 1890's. In 1896/97 the brewing plant was further expanded. In 1896, 24 year old Alick Neame was given responsibility for day to day bargaining for all wines and spirits ordered from suppliers. He had to be vigilant in his awareness of the market and had to make quick decisions at which price to buy. Alick Neame's department was located in a building, which had previously been erected in Mill Place. Three years later (1899) he took charge of the bottling department, which was previously undertaken by its Folkestone agent, Underwood, Penfold & Co., wine and spirit merchants. In 1900, No.16 Court Street was altered to match No.17, making a more impressive frontage to an extended head office. In 1899 Harry Neame was in charge of the purchase of malt, whilst his younger brothers, Alick and Arthur, were taking charge of wine, spirits and bottling. He purchased malt from Spain, and pale malt from California. After 1901 he purchased barley from California too, taking this duty over from his father. The Rigden brewery joined him in purchasing there, and so the two gained a quantity advantage. Both firms were then active members of the Kent Brewers' Union. In later years Harry Neame was to become a quite outstanding chairman. Percy Neame died on 5 January 1913, and was buried at Ospringe Church. He had lived at The Mount, Ospringe. A great lover of sport, he had maintained The Mount Cricket Ground for use of the Faversham Cricket Club. His death ended an era in which his branch of the Neame family came to dominate the business, he himself having acted as sole proprietor since 1877. He had fathered a large family of ten children. Four sons (the youngest Leslie Guy, born 1892 did not enter the firm) and six daughters. All of them, daughters as well as sons, now became shareholders in the private limited company, Shepherd Neame Ltd. The Company was formally registered on 1 November 1914 and held its first Board meeting on 16 November, by which time WWI was in its early stages. The family suffered human losses, though not on active service. 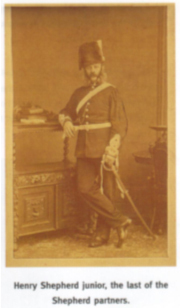 Arthur Neame, a pre war officer in the Faversham Volunteers, was recalled and took command of the Kent 2nd Heavy Battery, stationed at Ightham near Sevenoaks. He was promoted to the rank of major, but he caught pneumonia and died at Ightham on 17th March 1916. 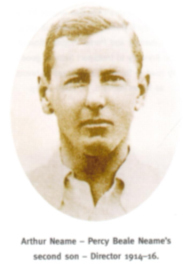 His brother, Alick Neame, died at his home, Shirley House, London Road, Faversham, on 4 July of the same year, following an appendix operation. The post war years saw the business continue to flourish. The year 1921/2 had been a most successful one, returning a dividend of 30% (not the chairman's proposed 25%). In 1923 Mrs. Marion Churchward, the eldest of Percy Neame's daughters, presented the company with an antique English Wall Clock for use in the boardroom, on behalf of her herself and her five sisters. They had good reason to celebrate the way that Shepherd Neame Ltd. had managed to weather, surprisingly profitably, the transition to peacetime. The interwar years in Britain as a whole were seen as a period of dislocation and difficulty. Kent, however, together with the other home counties, fared better than the rest of the kingdom. 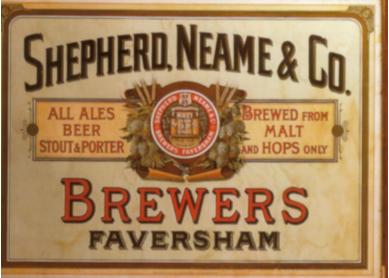 Shepherd Neame, ably led by Harry Neame and supported on the Board from November 1925 by his elder son, Jasper Beale Neame (Jasper), and from April 1931 by his younger son Laurence Beale Neame (Laurie), continued to do well, helped by the surge in patriotism. In 1933, Harry Neame was able to report that the company used only Kent hops and 75% of its malt was made from English barley, using English labour. From 1925 most of the hops had, in fact, been bought from Lewis Finn who had married Madeleine, one of Percy Neame's six daughters, and farmed at Queen Court, Ospringe. An increase in profits was achieved, and the late 1920's saw a return of 45% on debentures and ordinaries, rising to 50% between 1929/30 and 1933/34 and 55% between 1934/35 and 1937/38, during which time an additional 1% was added to the 5% cumulative preference shares. 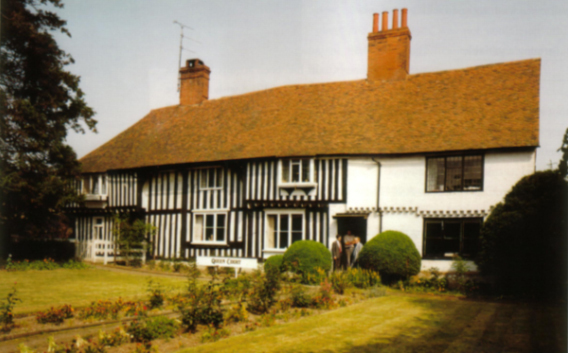 Prosperity ensured not only the survival of the independent family business, but also the better conditions and prospects for everyone, from the chairman to the latest recruit - and for Faversham as a town as well as for other places where Shephed Neame traded. When WWII broke out, Harry Neame was already 70 years old. Shepherd Neame was lucky that his two sons, Jasper, and Laurie were still young enough to stand the pace, yet experienced enough in management to provide leadership in the business. By 1940, 75 people were already away in the forces. Others were recruited to take their place, women as well as men. 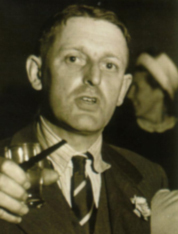 On 8 Feb 1940 Jasper Neame took over as managing director from his father Harry. In 1941 he also became chairman of the Board. Laurie Neame became vice chairman and deputy managing director. Harry Neame continued to take an interest in Brewery matters and in the social life of Faverham until his death on 24 February 1947, after celebrating his 78th birthday. In 1945. Shepherd Neame was confronted with an exhausted labour force, declining sales and an estate in need of a great deal of investment. The dilemma now being, in striking the balance, between investing in plant equipment, and the need to modernize and raise the profile of the estate. During the war the only improvement was the installation of a new cooling plant for yeast. Labour problems persisted throughout the 1940s, with again, the only improvement being, the installation of an electric generator to keep the beer-bottling and cask-washing plants in operation. However, profits continued at an average of 55% during this period. On 12 September 1951, Jasper and Laurie Neame were appointed as joint managing directors for 10 years, a time in which Shepherd Neame continued to increase its acquisition of licensed premises. After WWII, pubs were still largely the preserve of working men seeking a drink and a chat. During the 1950s, 1960s and 1970s, however, pubs were developed to incorporate more entertainment and a wider range of products. At the start of the 1960s a further social change was taking place with the increased ownership and use of the motor car. Soon after that, the Company began building car parks at all country pubs wherever possible to accommodate the surge of its weekend visitors. The postwar years saw an increasingly greater demand for bottled beer. There was more profit to be made from bottled beers than draught beer. In the late 1930s the Company invested large sums in replacing hand bottling by a simple form of machine filling. By 1959 bottling took nearly 30% of Shepherd Neame's output. A subsequent expansion to its bottling plant was completed in 1967. The 1960s were definitely changing times. The public taste for beer and lager was becoming a major part of the product range that had to be offered. In 1968 Shepherd Neame took up a contract to bottle Carlsberg lager for 5 years. An additional benefit was the introduction of Hurlimann lager which guaranteed the sale of 400 barrels to the Grasshopper at Westerham, recently purchased by Hurlimann. 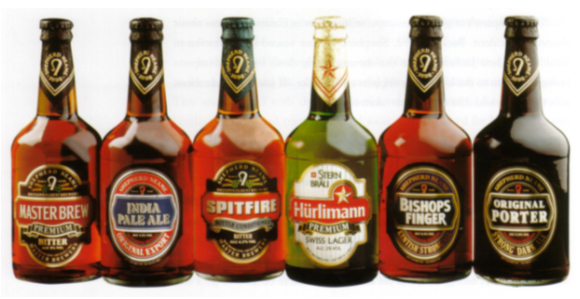 This arrangement led to an amicable and lasting alliance between the two companies, which allowed Shepherd Neame to export its Abbey Ale to 2,500 customers served by Hurlimann, mainly in Zurich, Switzerland. In 1959 the company noticed that competition from the introduction of Keg beer was damaging its free trade sales. Shepherd Neame was one of the first brewers to experiment with this introduction, despite the risk. The chairman's son Robert Harry Beale Neame (Bobby), was allocated 1,000 pounds to set up a plant and buy kegs for this purpose. Purchasing two, 20 barrel tanks from Mr. Roberts of Tottenham, and negotiating the deal in a Steptoe & Son type yard at the back of the Tottenham Hotspur Football Club, they sealed it with a meal of greasy lamb chops on a tablecloth of old newspapers. Despite initial problems of quality control that produced variable results, the new keg beer proved popular, especially with young drinkers. Demand forced the company to install an automatic keg washing and racking machine in 1976. The investment in farming to ensure a reliable supply of hops, through its 'Queen Court' farm, and later 'Twitham Court Farm' at Ash, with the hope of selling the surplus in good years, proved to be less successful. This all being well and good when the harvest was good, but when losses were incurred, it was decided that Farming was for farmers, not brewers. 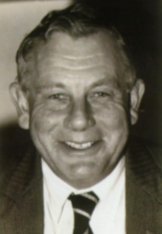 In September 1959 Arthur Rex Beale Neame (Rex) took over the managing of the farms. His contract was not renewed after September 1966. In December 1967 he took up an appointment with Bulmers, as Orchard Development Manager, ensuring a long-term supply of bittersweet apples for cider making. By cutting costs and concentrating on more profitable sales, Shepherd Neame remained a most successful business. These good results however, were accompanied by much family tension. Jasper and Laurie had worked like Trojans together during the war, with Jasper becoming managing director and chairman in 1940, with Laurie serving as his deputy. The postwar conditions of the 1950s saw the trade and marketing side of the business placing heavy burdens on Jasper, which took him away from Faversham for a considerable amount of time, leaving Laurie to struggle with day-to-day matters. The next generation faced the same difficulties in the 1960s. Bobby Neame came to work at the Brewery in 1956. In September 1957 he became a director when Madeleine Finn, due to retire, decided to step down. Jasper, his father was ill at the time, but Bobby was back at work in the following January. By the September 1969 AGM he had widened his range considerably and it was said that he was helping in the Brewery, and was in charge of the free trade, advertising etc. Laurie's son, Colin Roger Beale Neame joined the company in October 1959, to help his father in the bottled beer department, a month after Rex Neame had joined in Managing 'Queen Court'. At the September 1961 AGM after serving a probationary period on the Board, they both became full members. As the production director, he was in charge of the more technical side of the brewing business, making improvements in the bottling plant and keg beer, by utilizing many labour saving techniques. He also introduced a small biochemical laboratory employing a laboratory technician. Jasper died on 18 Jan 1961 at the early age of 56, Laurie then becoming sole managing director. He survived his brother for another nine years and continued his interest in production. Following is his father's footsteps, Bobby took particular interest in the sales side of the business. This became especially important once the larger brewers started investing heavily in advertising, especially on commercial television. Bobby then became marketing manager in charge of "improving the image of the Company in the eyes of the public", showing greater attention to publicity, with advertising on Southern Television in 1970. In 1968 the Cobb brewing company in Margate (with its family connection) again came on the market, together with 38 licensed premises. The Cobbs found it increasingly difficult to survive independently after the increasing success of the Butlins hotels group took over much of its trade. It was taken over by the Whitbreads in Januray 1968 and ceased to brew in the following October. This now left Shepherd Neame as 'the last independent brewery in Kent'. On 19 Dec 1970, Laurie died suddenly and unexpectedly at the end of the day, after all the excitement when his second son, Stuart, was married. In March 1971 Bobby became chairman and Colin managing director. 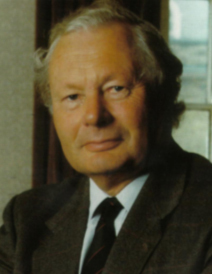 When Stuart Fraser Beale Neame took over as company secretary (after Ted Coulter retired in 1984), he brought with him over half a decade of knowledge and experience in computers, which he gained whilst working at IBM. His insistence that the Company buy a sophisticated "IBM System 3" computer, soon paid dividends when he designed a number of programs for telesales and distributions. The success of these programs soon created considerable interest from other independent breweries, who bought the software to improve their own systems. Four years later Stuart earned his position on the Board. To ease tension within the family, after the resignation of family members from the Board, it was decided to create a Technical Board, employing a wider range of professionals and services. Whereas before, the Board was dominated by family members, ensuring control of day-to-day running of the business, the Technical Board by creating a second tier in the management structure with the executive family members as the link, was the key development in the future success of the Company. In 1992 the chairman's son Jonathan Neame, a qualified barrister, joined the Company. He was previously involved through the Coba Group, a firm of management consultants, who helped to formulate a plan for a joint development with United Breweries of India, of Kingfisher in the U.K. 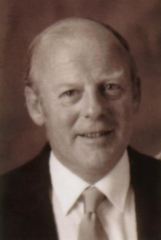 He became a full time technical director and was appointed to the main Board in October 1993, the first great-great grandchild of Percy Neame to join the Board, and so establishing family continuity to the fifth generation. The 1970s saw a period of rapid expansion of acquiring more property (65 houses in total), which in turn returned greater profits. This was also a period of improvement and refurbishment, providing better toilet facilities and catering kitchens. The private quarters were also updated and cooling systems were installed in the cellars, improving the quality of the beer. Acquisitions continued throughout the 1980's with 46 more houses, and Shepherd Neame opened the first three of its 'Invicta Inns' to meet the growing demand for middle priced accommodation and food in the Southeast. The rapid development of 'Pub Grub' saw a number of well-known chefs move out of the restaurant business and into pub kitchens. In 1982, hop production at 'Queen Court', the Brewery's farm, came to an end, in the face of the need for major investment, falling hop prices and infection by verticillium wilt. Sales of much of the land raised considerably more than the farm's profits for the previous two decades. With this sale the Company withdrew from its other ventures of feeding yeast to pigs and selling spent grain for cattle, as well as the cultivation of the vineyard. Shepherd Neame had been the first brewing company to produce and launch an English wine from its own vineyards. The wine, named "Queen Court" after the farm, won a number of awards in the early 1980s. Finally after the BSE cattle crisis of the 1990s, the Board decided to withdraw from the farm, and the land was leased out. They continued to purchase traditional Golding hops from East Kent to maintain its beer's traditional hoppy flavour. Shepherd Neame celebrated its 300th anniversary in 1998, by winning its first Royal Warrant (late in 1997), not for its beer, but for Grant's Morella Cherry Brandy. Grants was a Kent-based company founded in 1774 at Dover, bought and revived by Shephed Neame in 1988. As one of Britain's oldest brewing companies, they celebrated with a series of major events. In January, a dinner for the family and shareholders was held in the Brewer's Company Hall. In June and July, special dinners were held for brewery chairmen and their wives in the Henry VIII banqueting hall at Leeds Castle. Two dances, each for 400 people (one for licensees and one for employees), was held at Mount 'Ephraim', the home of Mary Dawes, the last surviving granddaughter of Percy Neame. These events were a tribute to the dedication of the family members and employees (some fifth generation) who have dedicated their lives to the continuing success of the Company. Also to the pub managers, tenants and suppliers, customers and shareholders who have given so much support to the Company throughout its existence. The Company continues to succeed and is determined to celebrate its 400th anniversary in the year 2098.